Campaigners fighting to stop controversial redevelopment in Old Town want to see the space become a conservation area. They are calling on Eastbourne council to make the Summerdown Road area designated so it would have more protection. The call follows plans by Canford Healthcare to redevelop Summerdown Nursing Home at number 59 into a “single mansion block” of one and two bedroom apartments and convert Pentlow Nursing Home at numbers 61 and 63 into a four storey 64 bed nursing home. Canford says the properties are “struggling to meet the demands of nursing care in the 21st century” and the mansion flats plan would provide much needed housing in the area. But residents living nearby say the developments would be out of keeping and have written to the council to see if officers will consider making it a conservation area. John Penniket said, “Summerdown Road, from its junction with the A259/Church Road to Compton Drive, has a valuable transition of housing from Victorian to Edwardian to Arts and Crafts. Many of the houses are full of character and some have interesting local history. Old Camp Road also has an important historical background and sections of that road have clusters of characterful houses which add to Old Town’s environment. The campaigners also say the area is a gateway to the town and believe conservation area designation would help. 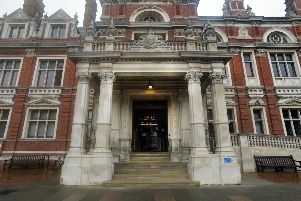 Eastbourne council says officers will now be looking into whether the area could be designated. There are currently 12 existing conservation areas in the borough. Conservation area status does confer a degree of additional protection though such status does not, in itself, prohibit new development.